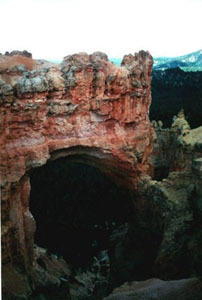 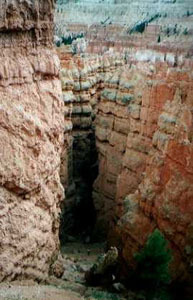 The scenic drive offers you stunning geological panoramas of Bryce Canyon. 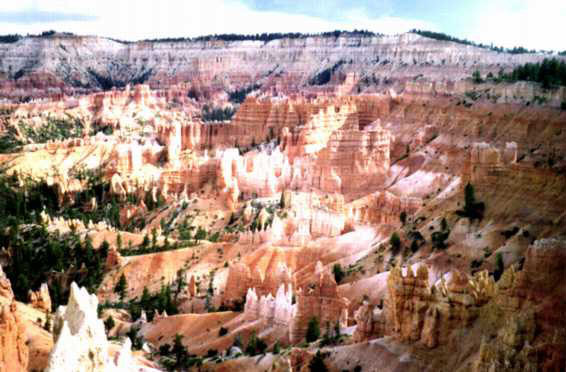 Erosion forms an array of fantastic shapes which are known as hoodoos. 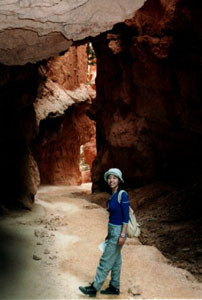 Navajo loop trail at Sunset Point leads you down to the bottom of the canyon. 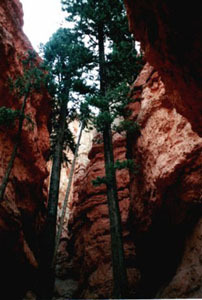 You will find tall trees on Wall Street down there. 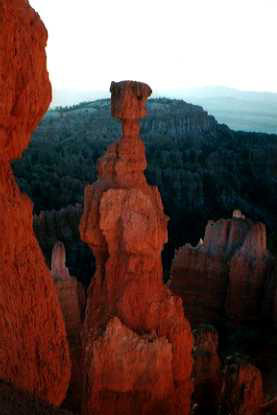 On you way back from the trail, you will see Thors Hammer, the most famous hoodoo.